Born blonde and Polish, J.R. Turner writes action adventure thrillers and romances. She resides in Wisconsin with her husband Eddie, a red-headed Texan, and her three children, Dustin, Molly and Matthew. Raised by an eclectic assortment of artists and musicians, her upbringing helped shape and hone her imagination and dedication to the romantic arts. Between her commitments to family and writing, she actively pursues three things–white chocolate, dark chocolate, and more chocolate. This author has generously donated three eBook copies of her book D.F.F. 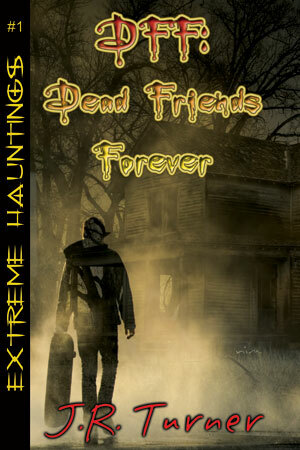 : Dead Friends Forever to our Kick-Off contest...affording you that many more chances to win! For more information on this and her other works, visit her online at her site, Facebook page, or follow along on Twitter! Hi there, my name's Carly. I'm a 22 year old Creative Writing graduate from Bath Spa University. I'm a freelance reviewer and also write regular reviews from Chicklish and Curled Up with a Good Book. I'm hoping to make it, at some point, as a novelist or travel writer and this blog is going to follow my journey into the world of writing. Scary. My reading taste is very varied and quite eclectic, I read mostly urban fantasy, paranormal, romance, mystery novels and chick lit. 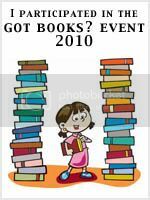 Reviews & bookchatter from a bookseller, wannabe Baby-Sitters Club member, aspiring YA writer, blogging girl. I read and review whatever hooks me, no matter what genre it is. Thanks! That's exactly what we wanted...to help spread the word on books AND the bloggers out there supporting them!